As authorities in Hua Hin remain uncertain if claims of shark attack at a foreigner swimming at Hat Sai Noi beach were real or just injuries from sharp rocks, warning signs are now erected at the beach asking tourists not to swim in deep sea or 20 metres from the beach where shark attack was claimed. But a fishery expert viewed it was very likely that it was a real attack by black tip reef shark. “This kind of shark is so cute as kitties or puppies and is not fierce. But it doesn’t mean that if they are cute, they don’t bite. It is like kitties and puppies that also bite but they don’t mean to hurt,” said Dr Thon Thamrongnawasawat, deputy dean of Kasersart University’s Faculty of Fisheries on his Facebook page yesterday. He said it was possible that the shark might assume that the foreigner’s leg might be another fish, and it then tried to bite. But shark teeth are sharp and that the bites might cause bleeding, he said. He asked tourists not to panic as such incident was rare or 1 in 200 million times per year. He reiterated that black tip reef shark is not a dangerous species and it never attack human. According to the fishery expert the last time of fatal shark attack in Thailand was in 1965 when a man known only as Chalerm was killed in an attack by tiger shark in Chon Buri beach. After that another tourist was injured when a shark bit him in the leg in Pha-ngan Island. 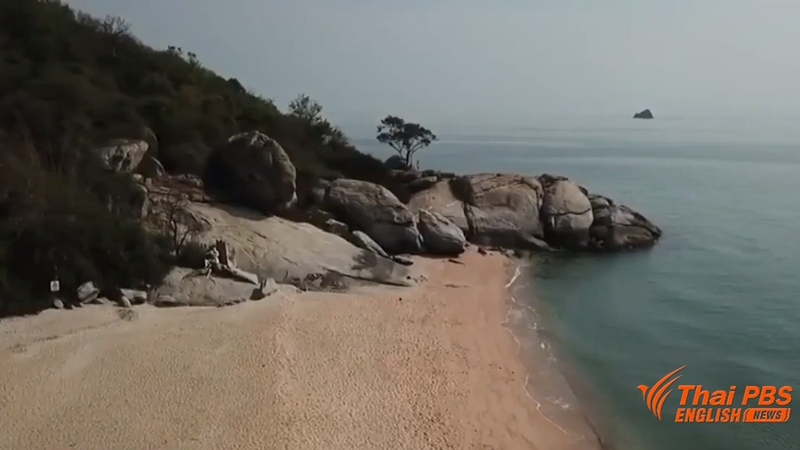 But despite of his assurance of black top reef shark, warning signs were erected at the Hat Sai Noi beach by Hua Hin City officials asking tourists nitvti swim in deep sea or over 20 metres from the beach. Hua Hin city mayor Nopporn Wuthikul said authorities from the Department of Marine and Coastal Resources, Tourist Police Bureau, and Disaster Prevention and Mitigation Department to keep watch on shore and in sea to ensure safety for tourists during this period until it becomes certain of the attack. The foreigner lived with his Thai wife in Hua Hin. He was attacked on April 15 and is still at Krungthep Hua Hin hospital.